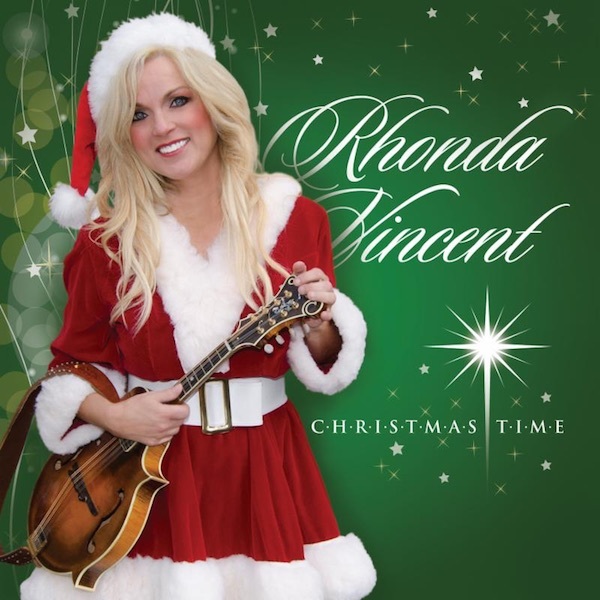 Rhonda Vincent – six-time Grammy nominated artist – has released a video complimenting her Christmas Time album (released last year) through Upper Management Music. Among the tunes, you will find the “Twelve Days of Christmas,” like you’ve never heard before. Rhonda calls upon some of her most famous Country music friends to join her in the celebration. These include Dolly Parton, Willie Nelson, Charlie Daniels, The Oak Ridge Boys and others. The upbeat favourite, features vocal contributions from The Oak Ridge Boys, Willie Nelson, Charlie Daniels, Bill Anderson, Dolly Parton, Ronnie Milsap, Gene Watson, Lorrie Morgan, Pam Tillis, Jeannie Seely, Larry Gatlin, and Emi Sunshine. You’ll hear each performer sings a line from the famous tune. Another highlight of the album is the “Christmas Medley,” which is the closing track of the album. For the first time, Vincent sings with only a piano, on a special arrangement of seven classics; including “We Three Kings,” “It Came Upon The Midnight Clear,” “The First Noel”, with ACM award-winner Michael Rojas. In addition to the large lineup of celebrity guests, Christmas Time also features a who’s who of musicians. Along with members of The Rage, joining Vincent on the album is ACM “Fiddle Player of the Year” Stuart Duncan, ACM “Steel Guitar Player of the Year” Mike Johnson, ACM “Piano/Keyboards Player of the Year” Michael Rojas, mandolinist extraordinaire Sierra Hull, and many more, who all come together to bring the Christmas sound to a whole new level. Also assisting Vincent on vocals is the International Bluegrass Music Association’s reigning “Emerging Artist of the Year” recipients, Flatt Lonesome. Read more on the album and a full track listing in our previous post.